Trainyard started out as a couple of scribbles on a notepad in May of 2009. You can read a detailed description of that process in my Trains on Paper blog post, but I’ll summarize it here. At the time, I was prototyping ideas for Flash games, because I’d been doing professional Flash development for four years and so it was the only game making technology I knew really well. I had plans to make a game and maybe make some money by putting it on Kongregate or selling it on FlashGameLicense. 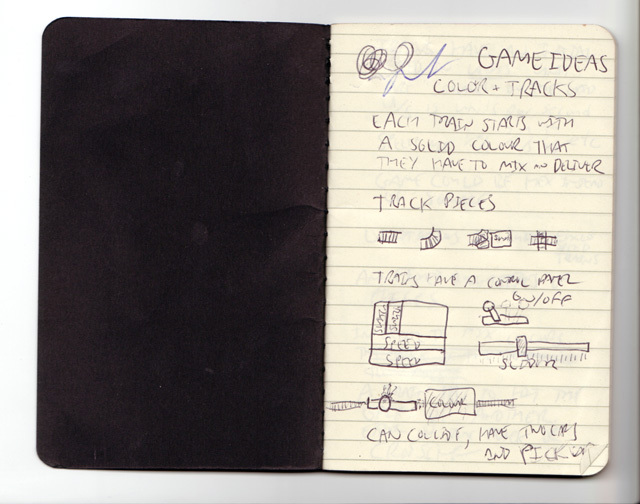 One day, while sitting on the train as during my daily commute, the concept for a game involving trains filled with paint came into my head. I did a bunch of paper planning, and eventually coded up a quick Flash prototype nicknamed “PaintTrain”. It was awesome. I set to work making puzzles every day during my commute for the next few months, still thinking I was making a Flash game. As an avid iPhone user since it first came out, I had wanted to learn to develop for it, but I thought it would be way too complicated. Talk began at my work about doing some iPhone projects instead of doing all Flash work. We were given a solid week to look into iPhone development and see what we could do. I didn’t make anything substantial, but I did learn a lot, and I discovered the excellent Cocos2D for iPhone framework. After fiddling around with Cocos2D and seeing what it could do and how similar it was to Flash, I realized that I could definitely make iPhone games. I decided that PaintTrain would be my first iPhone game, and I also decided, thankfully, to name it Trainyard. One of the key things I’ve learned is that the first project you make with any new technology will be awful, or at least full of issues and problems. I didn’t want Trainyard to be awful, so I decided to make a simpler, smaller game first. I spent a couple weeks creating a game with an interesting tic-tac-toe-ish mechanic called “Quaddy”. It actually wasn’t that bad, but I didn’t feel comfortable releasing it as my first game. Through the process of making it, I learned a whole lot more about Cocos2D, Objective-C, and iPhone development in general. I was ready to make Trainyard. At this point, it was October 2009. I figured I could finish the game in 3 months, using Christmas break as a final polishing time. Oh how wrong I was. It wasn’t that development was particularly slow, but that I kept adding little features and tweaking other ones. By January 1st, the core game was playable, but the menus were sketchy, the graphics needed work, and the end was still a long way off. At Indusblue we were building our first major iPhone app, the official Olympics app for the official Canadian broadcaster of the Vancouver Olympics, CTV. It was a huge project for us, so I spent most of my time on that, and really didn’t have time to dedicate towards Trainyard. The CTVOlympics app was a massive success, both for CTV and for our company, but I lost a couple months of Trainyard development time. Being motivated about a project after a couple months away is usually tough, but with Trainyard, I was excited. I began to work feverishly in every moment of spare time to try to get it completed. I made a huge amount of progress on everything from the graphical style to the solution sharing backend. By the end of April, the game was looking a whole lot better. Meanwhile, my wife and I were expecting our first baby. His due date was June 11th, so I was working hard to finish Trainyard before he was born. He had other plans. 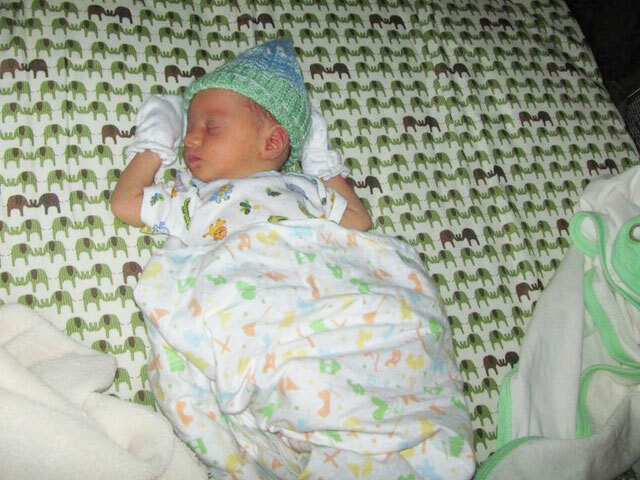 Toren Rix was born May 12th, 2010, almost exactly a month before his due date. I could write many posts about how awesome he is, but I’ll save that for another time. My work gave me a month off so I could help look after my newborn son. It was great to have some time off, and I know my wife was very glad I was around. Toren slept a decent amount, so I had more time than ever to work on Trainyard. By the end of the month, the game was done. I submitted the game to Apple on May 30th and began my marketing preparations. I created an “upcoming games” thread on TouchArcade, made a great trailer, and sent dozens of emails to major iPhone game sites and blogs. The trailer really helped to get a small core of people excited about the game. I posted on Facebook to tell my friends that the game was coming, and told every iPhone owner I knew to get ready for the game. Trainyard was approved by Apple seven days after submission, but I delayed the release because I’d heard that you should “always release on a Thursday”. Trainyard was released on June 10th for a price of $1.99. I discovered AppFigures and began to monitor my App Store rankings obsessively. I don’t really remember how well I expected Trainyard to do right away. The reviews from blogs and on the App Store were great. I knew people would like it, but I wasn’t sure how quickly they would tell their friends about it. It turns out that people did like it, but they didn’t have nearly as many friends as I expected. Or something like that. I tried a variety of mini-marketing escapades, including spending $50 on AdMob, $50 on Project Wonderful (Axe Cop, specifically), and $50 on Google Adwords. None of that worked. $50 is almost too tiny an amount to spend, but it became immediately obvious that any ad campaign within my budget would have no effect on sales whatsoever. I should add that I definitely wasn’t disheartened. I knew it would take time, and that I had a great game that would eventually be successful. I just really wasn’t sure how to get there, but that was part of the adventure. In my mind, there were two things that could happen to help Trainyard be successful. One was to be featured on the App Store, and the other was to be mentioned on TouchArcade. Sadly, Trainyard was never mentioned on TouchArcade. I figured they didn’t think it would appeal to their target demographic, so I forced myself to move on. I also believed (and still believe) that Apple monitors TouchArcade much more than any other site when deciding which games to feature, so that made not being mentioned an even harder pill to swallow. Meanwhile, I’d see other similar games get both on TouchArcade and featured in the App Store. Games like Kieffer Bros’ brilliant Aqueduct seemed like they’d appeal to the same types of people as Trainyard, and yet they’d be reviewed and featured while Trainyard went neglected. Rather than let this discourage me, I turned it into motivation to try harder to get the game noticed in spite of (what I perceived as) impossible odds. It’s not like the game wasn’t selling any copies. In the 4 months between launch and the end of September, I sold 2338 copies and made $3200. Not enough to live off, but decent part-time residual income. I kept working on the game, releasing two major updates, one with over 40 new puzzles and the other with full retina-display support. I also raised the price to $2.99, as I figured that the “risk difference” for a potential buyer between $1.99 and $2.99 really wasn’t that high. I’d always planned to make a lite version, but I wanted to make sure that the game was as good as possible before I did it. I went through a careful decision making process and ended up making Trainyard Express, which had 60 puzzles, all of which were completely new and different from the puzzles in Trainyard. I knew I was including too much content, but I figured that any buzz was good buzz, even if everyone was only downloading the free game and ignoring the paid one. At that point, less than 3,000 people worldwide even knew what Trainyard was, so more people knowing about Trainyard couldn’t really be a bad thing. That being said, it was still weird to pour dozens of hours into something that I knew wouldn’t make me any money directly. I released Trainyard Express on September 30th, the day I’d nicknamed “Trainyard Thursday”. A day later, an editor at a prominent Italian blog discovered the game and wrote a fantastic article about it. The game shot up the Italian charts and quickly became the #1 free app in Italy, netting 22,795 downloads in its first day at #1. Along with the Express downloads, the paid sales in Italy also started getting higher, and within a day of reaching #1, I had beaten my single-day launch profit record of $140 with $240 in a single day. It was awesome to know that the up-sell was working. Word of the game gradually spread to the UK, and by October 5th, it was climbing on its way to becoming #1 in the UK free charts as well. I mention October 5th because it’s also the day Apple wrote me an email saying they might want to feature Trainyard, the paid app. I knew what that meant; the Trainyard Express experiment had officially paid off. Trainyard was added to the featured list on Thursday October 7th at 4pm EST, and it quickly climbed the charts. Being featured is one of those things where it’s hard to really understand what it’s like until it happens to you. It’s like winning a lottery, but a lottery where you work really really hard to buy your ticket. I spent hundreds and hundreds of hours working on the game, but all that time paid off when I saw Trainyard’s silly little icon in that featured apps list. I made it. You’ll notice that the image above doesn’t have a legend. I’ve been advised against posting specific numbers for various reasons, but I think if you compare this graph to the earlier ones, you can figure out approximately just how much a feature from Apple can affect your bottom line. It’s pretty epic, isn’t it? Trainyard Express just dropped to #2 in the UK, but it’s already been downloaded over 450,000 times (#1 UK = 80k/day, #1 Italy = 20k/day). I have a feeling that it may slowly climb to #1 in Canada and maybe even #1 in the US eventually. Trainyard is #14 in paid apps in the UK, and just hit #50 in the US. That’s huge. I’m about to try a new crazy experiment with Trainyard. I figure this may be my only chance to do this, so as of the publishing of this blog post, Trainyard is going on sale for $0.99. This is a HUGE gamble for me that could cost me thousands in lost sales, but I’d regret it way too much if I didn’t try it. I’m going to try to drum up some support from Reddit, where awesome things have been done in the past, so please participate there if you have a Reddit account. I’ll let you know how it goes! UPDATE: Two days after this post was written, Trainyard climbed the charts and reached #2 in the App Store (beating Angry Birds). Mission accomplished. Congrats on all the success with Trainyard – it is well deserved! Also, belated congrats on the baby. That kid has a damn cool name. This is great news! Coming from the same “I have a day job” situation as you, this is a true inspiration. I used to have a long commute to work as well and I miss it dearly at times, the parts where I wasn’t driving. It was so nice to have 3 hours to think, ponder, read, etc. I’ll need to setup a similar “faux commute” now that I don’t have a real one. I still need to have that quiet time. Enjoy your much-deserved success and may it continue to grow! Agreed. This is all very inspiring! Trainyard is a great game. After completing Angry Birds and Plants vs. Zombies I downloaded a number of games looking for a similar level of awesomeness and Trainyard finally did it. It’s sad that Trainyard wasn’t noticed initially, but glad you found a way in, and hopefully this is only the beginning! You deserve your success, and thanks for a fantastic story. Matt, congratulations on all that hard work paying off! This post has given me extra motivation for my own project. I think you’ll find the 99¢ decision will be the best one yet. I love the game, and even more – the story behind it. Thanks. I bought Trainyard just after you presented it in Cocos2d forums, and I loved it completely (I think I left a review on the AppStore for it, don’t remember when). But what I always wondered is why it had so few reviews. Well, it is explained now, the time is now. Congratulations and thanks for the inspirational post! As @wadevondoom said: I want to finish this client work soon, I have to get to work back on my game, please! Great work! I appreciate your post. I’m also working on a game on the side, migrated from Flash development, and expecting my first baby in a couple of months! This is very inspiring. It takes time when you do everything by yourself! I am italian and i found about about trainyard when I saw the Express version on the top free apps list. I don’t think you put too much content in Trainyard Express. In fact, I think you put just the right amount. It took me about two days of casual gaming to finish it, then it left something empty inside me. I wanted more. And so i bought the paid version. I’m still playing it and I love it! All the other games’ lite versions I tried were ridicoulusly short to play, like 5 or 10 minutes of gameplay and that’s it. It feels really shallow. It makes me not want to buy the full game even if it’s just .99$. Trainyard Express is positively different. Also, good job with the “packaging”. “Express” instead of “lite” is a nice touch and I also appeciated very much that you bothered to make a sligthly different icon instead of putting a cheesy “lite” sticker to the full game’s icon. These are all little things that can make a difference. Glad you like it, and I’m also happy you noticed the small touches like not putting “lite” in the icon. Thanks for your comment! Equally should an iPad version be on the cards at any point… please no ‘HD’ in the corner! I agree, text-based icon modifications make the basic logos cheap. Especailly the “Whatever Game HD” pattern on iPad. Would love to see an iPad version as well… After seeing what Matt was able to put out on the iPhone I can’t even imagine what badassery might happen on the big screen. Keep at it, good sir! Where did you see that you should release your game on a Thursday? I remember seeing something like that on some blog post, but I thought that the blog I read said to release it on a Wednesday because Apple reviews them on Thursday for the ‘Featured’ category. Hah, I tried to look it up when writing the post but I couldn’t find it. There are two parts to theory. One is that the App Store has the most sales on Saturday, so you want to get up the charts a bit before then. The other part is that if your game is approved a couple weeks early, you set the release date to a future Thursday… in theory Apple will see it during their review process and flag it to get featured. I don’t know about releasing on a Wednesday, but I know they contacted me on a Wednesday at 6am, so it seems if that theory is true, then maybe a Tuesday would be the best release date. Who knows? Just doing some more googling, and I have seen reports that if you delay the release of your app, your app that will normally be at the top of the ‘New and Noteworthy’ section, will be pushed back to when it was releasable, therefore with less visiblity. Did you experience that with Trainyard? I had that experience with Flight Deck: Reloaded. It was in the “back half” of the featured lists for two weeks. Not 100% sure that it is related, but I will try to release as soon after approval as I can manage for my next game. Great to read a post like this especially when the game is so awesome. I want to make one point though, I read about the Express version on a forum and couldn’t work out how a free game could be so complete and have so much content. The big issue was that not once did the free game mention the paid version, I only found out about the full game when reading a forum post. I like the ‘Express’ versus ‘Lite’ approach but not mentioning the full game seems a little silly. Yeah a couple people have told me this now. The only upsell comes when you beat *all* the puzzles. That’s it. You’re 100% right, I’m definitely under-selling it. You should definitely mention about the paid version at least subtly somewhere in the Express version. But now, who need it! The paid version has made it to the top too Congrats! And thank you so much for sharing your inspiring story! THANKS for lowering the price! I had trainyard express and I loved it but… I only had $3.00 left and I just couldn’t buy it… but now I’m really thinking I should get it! I got it. haven’t played it yet, because I’ve been busy playing your awesome “lite” version. but i’ll assume it’ll be just as awesome. Thanks for sharing your inspiring story Matt! I’ve been a Trainyard fan since day one and it has always stayed on my device ever since I bought a copy. Keep up the awesome work! Congratulations. I’m glad you finally got featured by Apple. I remember you writing to me after my contact from Apple about possibly being featured, but then I never got featured. Wow on the sales. I did get an iPad feature in the Japan store, but nothing to write home about. Still crossing my fingers that I’ll get the big feature someday too. Inspiring story. Thanks. Yeah I remember that. Knowing what I know now about how featuring works, I doubt that I ever would have been able to just email one of those Apple dudes and convince them to feature me, or whatever my crazy plan was at that point, hah. Many congratulations on your recent success, it’s really quite inspirational. To see those charts disappearing into the stratosphere must have been dizzying! Certainly helps that your game is wonderful, a real gem. This was a great blog entry. Congratulations on your baby. I bought the game this morning and i´m having a blast with it, great presentation and awesome gameplay. I hope sales keep going up because you truly deserve it. I saw a retweet about the position on the store, had no idea what app you were talking about, so figured it would have to be mentioned on the blog. Sure enough, came to the blog and here’s this great post! I figured since I read the entire thing and got some good info from it, I should at least contribute to the cause and give the game a whirl at the same time. 99 cent sale right after the post was a brilliant idea because it was an impulse buy. Turns out its pretty good little game! Anyway thanks for the info and a pretty good game. Keep on tweeting too – because it definitely helps get the word out. Ditto–I bought the full version as a result of this blog more so than having tried Express! I felt like I was giving money to a friend by the time I finished reading the posting. I’d be in the same boat (giving money to a friend) but I have a Droid X (which I love), any Android love in the cards? Yep I’m trying to get an Android version made! Hopefully it’ll be out in the next couple months, but I can’t guarantee anything. Fantastic article and massive congratulations on your success Matt. Your son’s original due date is my birthday so I’m a little disappointed he came early. I have my own first baby on the way and I’m hoping to finish off my next game during parental leave just like you did! Congrats, Trainyard is a great game. BTW – I hope you will leave the app priced at 0.99 for some time as you’ve reached such a high plateau on the charts. It’s ridiculous how the iPhone App economy works, but judging by history even adding an extra buck on top of that is enough to turn off a good portion of potential customers. It’ll definitely suit you better in the long run to milk as long as you can and just ride the wave (most apps, particularly near the top spot, in the top 10 have been 0.99 for a very long time it seems) It does make one grind their teeth to think “ohhh I could just add a dollar and conceivably double my profits” but of course, you risk tumbling out of the top ten and therefore losing that visibility..
Yeah, it’s VERY tempting to raise the price, but I think you’re right, a low but stable price is better. Interesting story, it looks like moving the app to $0.99 has really worked in your favor too. Have fun riding the app store wave! Read the blog, bought the game. Love it! I’m growning tired of all the mindless slice the fruit, route the plane with your finger games. This is much better! Glad you finally got the recognition you deserve. I found the game on the 20th of September and it quickly became my number one played game on my phone. Its funny how there are so many gems out there and no one ever gets to see them unless they get featured somewhere. I found your app by going through like 20 pages of apples game section. congrats for your well-deserved success! This is a dream for every iPhone app developer. I followed your thread in the cocos2d forum already. just for the honesty and charm of this posting, I gladly just gave you my dollar. Plus, I am excited to play the game. Have you any thoughts on creating an iPad version? Yeah one of the underappreciated benefits of the iPhone going Retina display is that everything scales up great. I’ve only played Trainyard on the iPad. I love it to bits. great game, and great story! now, any chance of a native ipad version? This success couldn’t have happened to a nicer guy. I hope that is a ‘maybe’. I play trainyard on my ipad and love it (2x looks great), but would love to be able to carry in anywhere on my Nexus One. Thanx for a great game! Oh it’s more than a maybe. It’s just a question of when. Waiting for you to release the game to Android, awesome game, a well deserved success. Hopefully that when is soon! Would love to see this come to Android. Waiting for the android version myself, great story. So, I haven’t quite had the financial success it looks like you’ve had with Trainyard. However, despite that, I left my day job a couple of weeks ago to give being a full time app developer a go. It’s a bit of a risk, but I have some money saved up and it seemed like the right time to make a change. Congrats on your success, and best of luck! Congrats on quitting your job, I’m sure you’ll make it work somehow Love the post too, very similar in a lot of ways (even the name). I should add that when I released Trainyard Express, I had already been working on a new game for around a month. It’s never a good thing to put all your eggs in one basket for too long. Try make something completely different and see how it goes. Just went and bought the game, assuming I was near the end of the free demo levels, and that I was going to have to replay the levels on the paid app, interesting to hear neither was probably true. I’m looking forward to starting the full version. One suggestion for different game modes- apologies if you have already done this and I haven’t reached that bit yet- is targets for time (in “game clocks” rather than Realtime) to get the last train home, or how many track pieces to use, perhaps showing the world record solutions too. Beating either or both of then would award extra stars, and give an incentive for the player to try to better his performance on a level, increasing replay value. iPhone game developer, awaiting my first release. Congrats, man. Thanks for giving hope to all of us Flash developers daunted by the iOS SDK. The best advice I can give you (going from Flash to iPhone) is that it’s not THAT different, especially if you use Cocos2D. Square brackets are weird, but you’ll get used to them and learn to love ‘em. I should also mention that shortly after reading this post, I decided to really look into learning programming. I was already interested in making games for the iPhone someday, (I’m 14 by the way) but after reading this inspiring post was sure I wanted to program. I’m wondering if you could tell me what programing language you started out learning, and what you have to know before making iPhone games. I’m thinking VB would be good to start out with to learn the very basics of programming, but as I have no experience in anything, (no offense to myself) I really don’t know. thanks. Comments like this are awesome. I would love nothing more than another person learning how to program! It’s something I wish more people could experience. Aaaanyway, I learned a couple simple languages a bit when I was a kid (mostly Basic), but it wasn’t until I started doing Flash stuff that I really got into it. If you want to learn game programming, I think Flash is absolutely the best thing to learn. There’s a fantastic community and thousands upon thousands of tutorials. Any games you make you can actually share on the internet with other people. ActionScript 3 is a great language that’s relatively straight forward. Once you learn it, it’s really not that hard to learn another language (like I did with C and Objective-C). Fantastic story – congratulations on the success, so far. I just bought Trainyard and am eager to try it out. Question: Is there anyway to launch safari directly from the game to look at your uploaded solutions? There currently isn’t a way to launch safari because at the time I created that system there was no multitasking, so I didn’t want to push users out of the game. I may have to reconsider that now that there is multitasking. Pff! Those kinds of trivialities never stopped EA from crapping on the user experience! Sarcasm aside, I am glad that you actually stop to think about these things and care about stuff like battery life optimization. The Scrabble app from EA turns my “% battery left” into countdown clock readable in minutes. I must say, this is an very inspiring story. I’m trying to follow a similar path on the new Windows Phone 7. I will surely use your info in my marketing thought process. Pays to never give up! Please follow this blog post up with another so we can find out what it’s like to be #2 in the paid app store. (as of this writing.) I can imagine how awesome that must be! Hey, you made the Farseer Physics engine, right? I remember using that when XNA came out and I was experimenting with making Xbox games. I really didn’t get very far though, hah. Great article and great game. Like others have said, i’m glad it worked out for you. Thanks for taking time to write about the whole process as it’s very informative. Believe me, I’ve heard a LOT of the “choo choo choose” jokes. I’m very very happy for you and that your hard work paid off, and you made a killing as an independent developer! Your story is very inspirational to those who believe in their own ideas, and believe that they can also do it themselves. I found about about Trainyard via the Cocos2D page. Great framework too! Congratulations on your success, this is an inspiring, passionately designed, cleverly developed game. I played the game, loved it, and tried to look if there was some post about its development. Not only I found “some” post, I found some very enlightening ones from you. So thank you twice, for the fun, and the nice articles. I have been a game journalist for 4 years, and then I had to switch to web development for nearly 6 years. I would like so much to jump into the iPhone market, mostly because I feel all these ideas buzzing in my head. But I find it so difficult to find the time to learn, and then devote all myself to develop the ideas I have in mind, with all the bills I have to pay every month, and all the responsibilities toward my close ones. How were you able to get started on all this? Where did you find the time to get started? Keep it up Matt, I will be there when the next game comes and I will spread the word a bit! I actually might write a blog post about this soon… You’ve got to have a concrete goal. Not just a goal of “making a game”, but a very specific game. Map out all the things you’ll need to do to achieve that goal step by step. You should do something that brings you closer to your goal every day. Whether it’s scribbling ideas in a notepad or reading a tutorial about Xcode, you’ve gotta constantly move toward your goal, and eventually you’ll get there. This is important: stop doing everything extra that doesn’t help you achieve your goal. In my case, it meant I had to give up a lot of extracurricular activities (like playing in a soccer league), and I had to quit some of my big time-sinks (Starcraft, Team Fortress 2, etc). I think that’s seriously the thing I miss the most. Ah, I would love to read a blog post about that, but focusing on a precise goal is a very good suggestion. Too bad I currently had already to give up all my “extra” activities. Self-employment in web development is harsh in these days, with competition from people asking just $15 per hour. Which often (not always) means their client has to call people like me to fix the many security holes and bottlenecks of the application, but bidding on a freelance project is impossible, really. But I am sure you already know that well, as you also work for third party clients. I could go on for days about the “joys” of doing client work. In some ways, you really have to treat your “goal project” like a client project. Allot it specific amounts of time and make sure it gets completed on schedule. Thanks Matt, I appreciate the fast replies and the no-nonsense tips! Congrats on you success Matt! You’re an inspiration and the game’s great. I too have started developing an iOS game using Cocos2d, still early days though. You said you learnt alot via the challenge of developing your first. Can you elaborate? Tips, best practices etc.. I may write a blog post about this too, but the biggest tip I can give is to learn to use texture atlases for *everything*. Well done on the game, it’s really nicely done and has great game play. It’s also good to see an individual do well on the App Store! Can you please explain why you’ve “been advised against posting specific numbers” ? I’ve been lucky and my education app (also using cocos2D) has been mentioned in NYT and I’m now in the top ten iphone and ipad (education of course). I want to share all my figures because it is always very nice -especialy for indie dev like us -to understand the market (I was looking for this kind of figures before to have an idea of the market in education). Even if my figures are not so great as yours, why I should be advised against posting specific numbers ? Hi Pierre, I wouldn’t have a problem sharing the numbers if I had a company, but right now, they’re my personal income. I really don’t mind the community knowing, but I feel like it’d be kinda awkward to have family and friends coming here and learning exactly how much money I made. I hope that makes sense. I tried to present the chart in a way that it would still be very useful for figuring out the approximate numbers. I just read about this on joystiq, and bought it. Not sure I’ll play through all of it, but it’s a no brainer to drop a buck to an indie developer than $3. So good on you for the price drop, I hope the number jump far outweighs the discount. Hey, I just saw that there is a hint at your amazing story on Joystiq website! I am suposed to get into development of aps soon enough, this story is really interesting for every single Indie’s. I don’t normally comment on games but I just had to for yours. This article made me go out and try Trainyard Express. The concept seemed fun and amusing and I could tell that it could be a lot of fun and pretty challenging. Unfortunately once I loaded it up and tried it for myself I came across the absolute horrific sensitivity of drawing the tracks. First off, the game is laggy in the sense that it takes a little while for the tracks to come up. Second, the game doesn’t register the line you just drew, so it now has holes. If you get past that, then there’s also the problem with the two tracks on top of each other, making them switch is a process of luck. Taping the screen lighty, taping the screen with force, repeatedly taping the screen, pressing down…well nothing works, it’s basically a crapshoot. It really is very frustrating. A great idea marred by poor execution. So yeah I’m not sure what you use to register touches but it just doesn’t work well enough. You should look into fixing it, reading the reviews in the App Store shows I’m not the only one with these problems. I know what you’re saying, and I’ve definitely heard these complaints before, but I can’t help but feel that it seems likes you skipped through the tutorials and now the game doesn’t play like you expected it to! Either that, or your version of the game is glitchy. The “lag” on the track drawing is necessary because of how the drawing works. You have to draw *across* the square in order for the track to register. You switch tracks with a double tap, not a light tap. The way everything works takes a little getting used to, but once you get it, it makes perfect sense and it’s very consistent. Lemme know if that helps. Actually I found that for this and other games that you need to regularly clean the screen. Grease from your fingers builds up and you cant see it but is definately affects the sensitivity of the touch screen. Great game Matt! I am not looking forward to the disappoint I will feel when I get to the last puzzle! Then there will be no more game! Any ETA on adding GameCenter support if at all? Fantastic time waster really gets complicated in the later levels. Not sure the exact timeline, but it’ll be in the next two updates. Great story, thanks for sharing it, and thanks for creating a great game. Your story is truly an inspiration for the others of us out here who are trying to do the same thing you’ve done. As much fun as the express version is though, I have to agree with what others have said, and that is you gave too much away and didn’t advertise the paid version enough. In some ways this is good as you’re not obnoxious and annoying in your strategy, but in other ways you are definitely underselling yourself and your game. Sell yourself, sell the full version, but find a balance that’s not too pushy or obnoxious! Thanks again, and we look forward to seeing more exciting things from you in the future. Thank you for sharing you awesome experience. I have question, which software did you use to the video of the app. Good luck for your next app. Congratulations on having all your hard work pay off! Congratulations! What a lovely story and a great inspiration. Good people doing the right things do make it. I’d never heard of this app until I saw this on HN and after reading it, I got the express version. It’s really fun and as soon as I finish express, I’m buying the full version. Keep up the good work, and congrats on the baby. Wow, it’s so funny to stumble onto this blog, when I was just having a great time playing this game. Not 10 minutes ago was I asking myself what designing this game would be like, then I run into an innocuously titled link on HN… Good to know the puzzles are different with the paid app! I’ll be picking it up soon! Really exciting post about the success of the “little guy”. Really thanks for sharing your experience. It’s uplifting and inspiring. That’s a very inspirational post, Matt. Thank you for sharing and congratulations on your well-deserved success! After completing Cut the Rope, I was searching for a game, that had a whole bunch of levels and that was very challenging! I found it with Trainyard. This game is simply awesome and worth every cent! I completed every of the ‘normal’ levels and am now stuck at one of the extra ones, but I’m sure I’ll figure out a way to solve it! Thanks for making me have fun in every single brake I take! Awesome! I’ve never seen it at the top of the featured list… Here in Canada it’s all the way at the bottom. The game is simply awesome and it deserves a big image at the top! I am planning on developing apps. I just bought your app (in Mexico) so I cann give it a try and you can increase the sales man. Thanks for the story and tips Matt. My app ClayShooter is stumbling along at about a dozen Downloads a day and Ive been frustrated that my marketing has not helped. Its great to hear your success story. Makes me feel alot better about all the time I’ve put in. The questions I would ask is… Do you still have your day job? And do you have a something new on the horizon? I am a developer too. The worse part of our job is really marketing the app. It is very complicated and most of the time, the big blogs and website does not publish our press-release. I just finished the new version of eCarPark. A “park and find your car” app. And I also have trouble to marketing the app. Matt, I thoroughly enjoyed your post and as a fellow Canadian am proud of you for breaking through the crowd successfully! We’re in the first 4 month phase that you went through with 3 apps in the app store and now formulating our “free” strategy to get some traction. All the best and thanks for sharing your inspiring story! What an amazing and inspirational story, I’m in the same boat as you and I’m sure to launch on a Thursday from now on. That an having a great idea, lots of work and the right execution … yeah I’ll get it one day. For now this is your day, congrats! Yeah I don’t really know how much launching on a thursday actually helped, although it was my best day for a long time. For most, Thursday is the day before payday, and maybe people want to gear up some new games for the weekend? Congrats dude, fantastic game. Really inspirational stuff. Great game, great story. Any chance you’ll be posting some more “tutorials” on some of the techniques you used in building trainyard? Also, love the replay of the solution on the website. Awesome, congratulations! Though, now, I’m a bit bummed that FGL didn’t get to see a Flash version If you ever decide to give the Flash version a go, let me know! Awesome game. Been loving the free version and just bought the paid. It has 4482382 moves. Apparently it took 4 days straight to run at full speed. Crazy. I hope their iPhone did not melt. Considering mine almost explodes after a long game session, they probably let the game run while the iPhone was in the fridge. Took 4 days to run at full speed – how many to build it? I suppose when you start having this amount of people playing your game instead of working, you start having an effect on the world economy. We’ll know who is to blame if the dollar goes down more in the next days. All of those hours with the X-Box actually weren’t wasted. I am the reason you don’t publish profits, because now I might want a big Christmas present! It probably is not part of the business plan, and wouldn’t make a huge amount, but I think it might not be too difficult to port the code to the Palm Pre so that those of us that don’t support either Gates or Jobs would be able to wreck a train. Actually, just focus on getting the next one out while you have the momentum. Matt, What an awesome post! Been having the same feelings with my first game that we published in October – Spooky Playtime. Was a little discouraged with a slow start but you’ve confirmed what I’ve been hoping. Just give it time and some luck. Then hopefully we’ll at least break even on the cost of development. To bad my app is seasonal! Great job and thanks for the inspiration! Hey, just keep in mind there’s a Halloween season next year too I figure in the long run, even if it’s over a few years, you can definitely recoup your costs. Congratulations on your success. You deserve it. 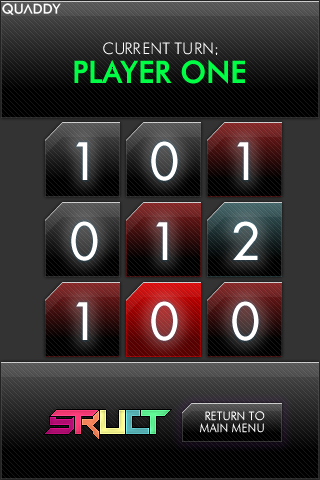 You have made a truly addictive and entertaining puzzle game. I came late to the party, only hearing about it on Gizmodo recently, which is probably just as well as that blasted iphone takes up enough of my time already! Congratulations! Trainyard is a very cool app, and I’m very impressed about your story. What you reached is what every developer wants to reach! Hey Matt, a truly inspiring story!! I actually just started my own iPhone app business, so it’s both encouraging and refreshing to hear about your breakthrough, and ESPECIALLY the patience you had going through the process, knowing it would be worth it in the end. All the best, and congratulations on the breakthrough.. I’m sure it’s extremely well deserved. P.S. Toren is indeed a bada** name . You and the wife have great taste! Pingback: The Hopkinson Report » Episode 128: Money Train – How an iPhone game developer built a killer app in his spare time, beat Angry Birds, and landed his dream job. Hands down my favorite iphone game so far. It’s obvious to me that there has been an incredible amount of thought put in to this game. Your success is well deserved, sir. Pingback: Trainyard – The Incredible, Inspiring Story and how YOU can repeat this success! A friend of mine was busy on her iPhone while at my house, and I kept asking her what she was doing. She said she was playing a game a friend of *hers* had suggested. From a cursory glance, it seemed silly. She was moving her finger around to create train tracks. Well…later, watching more in-depth what she was doing, I thought “that’s interesting.” When she told me it was free, that sealed the deal. I figured why not, I’d check it out. So I downloaded the Express version and was immediately hooked, impressed, and overall shocked how many puzzles there were for a free version. Moral of the story? Tonight I bought the full version, and not in a million years would I have ever paid money for an app that hadn’t had such an impressive free version, first. Your gamble paid off, and I hope it continues to do so. Quality products deserve all the attention, and profit, they can get. Great game Matt. I am interested to hear about what Indusblue thought about you working on this game on the side. Was it not a conflict of interest? What was there level of support? Do you still work there? How about posting your graph now? It would be interesting to see what the “tail off” looks like (so far). Great idea. It has definitely tailed off… I should probably write a full post about it, but I have some Christmas marketing ideas that I want to try first… and whether that fails or succeeds I’ll post a full graph, I think it’ll be interesting to see. How did your Christmas marketing ideas pan out? Ready for that graph … ? Yeah I think I may do that soon. Spoiler: because of the price drop, the volume of sales increased a lot, but I don’t think the profit did more than doubling or so for a couple days. Now it’s still on sale, but it’s actually making less money than before the sale. Just want share that the main reason why I bought trainyard (besides the fact that it is awesome) was because of your sincerity. I have never come across another “lite” app with so much depth. Great article, a true inspiration. I’ll do a similar one in the future, I hope. This really is an inspirational story. thanks for telling it. I just hope i can get as much success with my new app. I loved your presentation at Inter-Action last night. Fantastic story. Congratulations on your success. Congratulations on the success of Trainyard. I found it via the free Trainyard Express. I don’t generally buy any paid apps. I played Trainyard Express and loved it. After slowly working through and beating it I began looking into the paid Trainyard. It was very happy to see that it was completely new content and I just had to buy it. I’m still working though some of the more difficult level in Trainyard, but I know I’ll complete it before long. Thank you for an amazing, fun and challenging game. Have you considered trying to make a version for Android? Half of your pingback links are dead. I checked all the links as research for my game, so I am not kidding. Come on man, a great article and obviously great game yet no link or screenshots in the article?! You’re missing out on plenty of sales right there! Thank you very much to share your experience. I just download Trainyard and it is great! I bought Trainyard late 2010 and thought it was fantastic and I was just starting on my iPhone dev journey. I built a silly little app called Tap2Cap. It has never made much money but I learnt a lot. I’d been writing JAVA for 17 years, so Objective C was a shock to say the least. I’ve just released a word game called Worzled and am getting great feedback, but have the age old visibility problem. I’ve just finished the free version as a direct consequence of ready this blog. Yours is the best explain of how a free version can work, namely make it more of a fully functioning game rather than just a ‘Lite’ version. A stroke of genius in my view. I wish you luck with your future endeavours and thank you keeping me entertained via Trainyard. Truly inspiring Matt, thank you for such an amazing article and for sharing all the info. Thanks for the detailed analysis of your Trainyard game. It is always fascinating to read some indie developers success story. Just wanted to say I love your trainyard games. I don’t know much about developing but I do know about Playing addictive games. It’s interesting what you say about overloading the free version as the extent of it was what drove me to buy the full game. Paying for the full game was both a way of saying ‘Thankyou’ for the freebie version and a way of coping when I ran out of puzzles . Too many free versions are too short and don’t get interested enough to bother purchasing the whole game. Anyhow, thanks once again and congratulations on both your success and your family. That was a great breakdown of a success story. Trainyard is an awesome game and this post will definitely be an inspiration to aspiring indie developers. Any planned follow up posts on games you might have developed since then? Pingback: DesignAxiom Blog - Can an Appathon Code the Next Big Thing In One Weekend? I have yet to try Trainyard. I have been addicted to angry birds. But with this report, I will try Trainyard now. I haven’t downloaded the game as of yet(i don’t have an IOS device of my own) but i will surely ask my friends to buy it so can play it. Actually really liked the trailer! Matt do you have any kind of advice for people that, like me, are trying to start their lives in the game programming world?